WarmKaros B&B is centrally located near the CBD, shopping centers, hospitals tertiary institutions, sport facilities, golf courses, swimming pools, the beach and only 20 minutes drive from East London Airport. Although perfectly positioned for business and leisure, it offers high security, safe on-site parking and a quiet surrounding. The accommodation includes 10 en-suite rooms in total, including double rooms and a family unit. All the rooms have a small kitchenette with a microwave, a bar fridge, a two-plate stove and cutlery. Wireless Internet and electronic safes are standard in all the rooms. There is high security and safe on-site parking available on the property. The spacious suites open onto private decks that overlook a conservancy surrounded by bird life and an indigenous forest. The swimming pool is equipped with a safety net. Private entrances to the rooms give guests the benefit to be independent during their stay. We offer fully equipped boardroom facilities as well as various conference areas to choose from. From the N2 towards King Williams Town, turn left into Western Ave, then take the first left Vincent Road. At the second four way, turn left into Chamberlain Road, then right into Bauhinia Drive, we are nr 25. 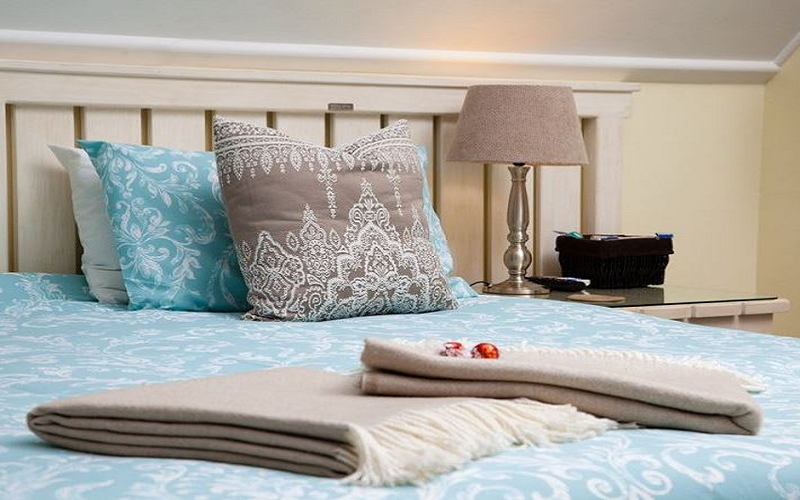 These rooms are comfortably furnished with twin or double beds and en-suite bathrooms. Each room is equipped with a bar fridge, cutlery, a microwave as well as tea and coffee facilities. Three of the rooms also has a two-plate stove. The rooms are also equipped with an electronic safe, a TV and Wi-Fi is available.